Papa, Can You Hear Me Sing? not only garnered actor Sun Yue a Golden Horse Award for ‘Best Actor’, but also propelled him to a new height of stardom. 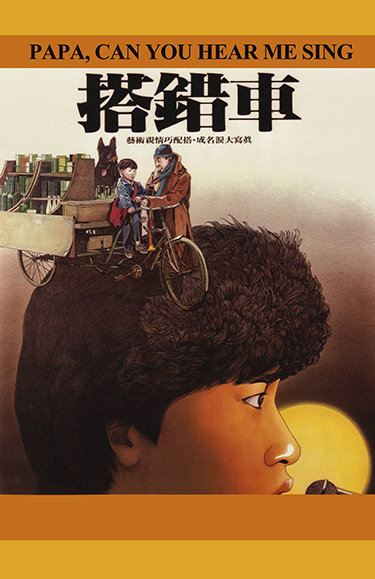 Sun Yue plays a retired soldier who becomes a scrap collector after the war. Finding an abandoned baby girl one morning, he raises her as his own and they create a very happy and warm family for themselves. While she is growing up, it becomes clear that she has an excellent singing voice. By the time she is an adult her talent is discovered, and her growing stardom and new lifestyle precludes visits to her adoptive father and her friends. The situation culminates in a series of tragedies that cause despair amongst the group.